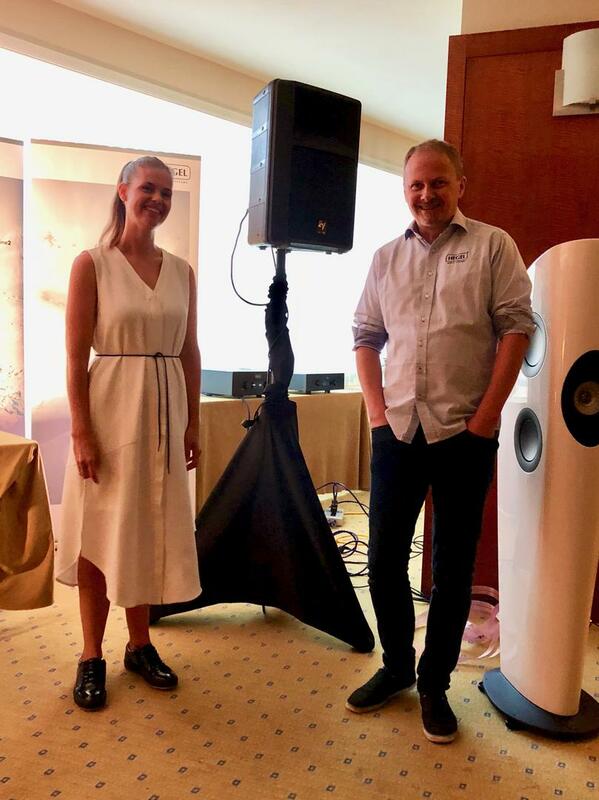 Hegel Music Systems hosted an industry event on August 23 for selected dealers and press where the company shared an overview of its most recent products launched, plus a more in-depth look into its latest technologies and approaches to high-end electronics. 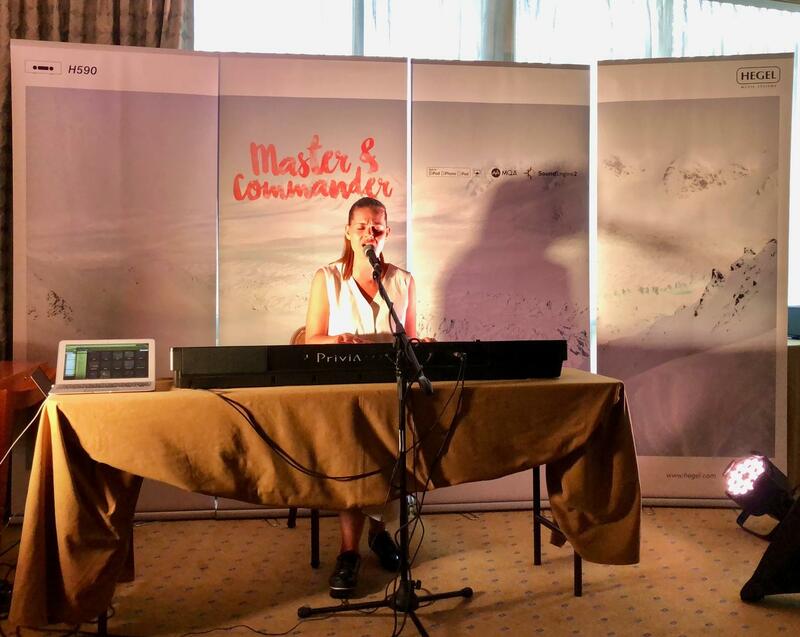 For the occasion, which took place at the Ritz-Carlton in White Plains, NY, the Norwegian company offered more than just a standard new product intro and demo: The special event also featured an intimate performance by emerging art-pop singer, pianist, and composer Anette Askvik, who also hails from Norway. Some audiophiles who seek out new music might recognize her name, as there’s been a bit of buzz around her well-recorded album from 2011, Liberty, her first release on her own Bird label. Anette captivated the audience of attendees with her unusual, finely crafted melodies that by turns displayed both strength and delicacy; this was compelling material displaying elements of eclectic jazz, thoughtful pop, and beyond. 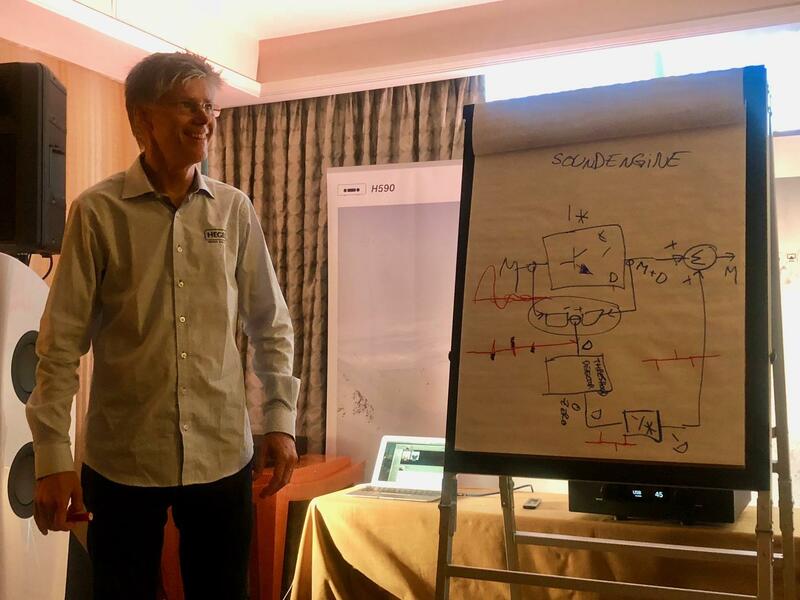 The soundboard was run by Hegel Music Systems’ founding chief designer, Bent Holter, who also has had plenty of experience in the pro-audio arena as a musician and soundboard operator in addition to Masters degree in semiconductor physics and his expertise in designing amplifiers for the high-end home-audio market. Naturally, the system’s electronics were provided by Hegel. 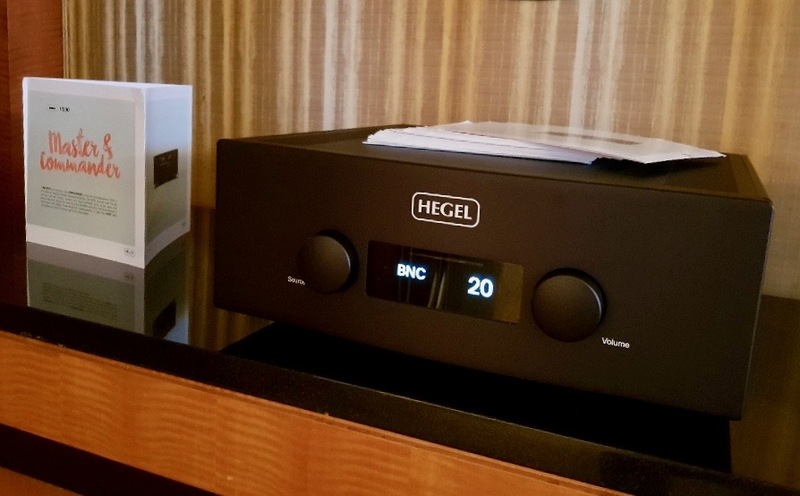 Fittingly, one of Hegel’s new products is a professional audio five-channel amplifier—also available as either a three- or four-channel version—that represents a completely new design. Hegel’s VP of Marketing and Sales, Anders Ertzeid, who provided some listening input during the amp's development, described it as “phenomenally fast and really dynamic.” The amplifier is slated for launch in the late fall, most likely November, and will retail for approximately $8000 in the U.S. and $9000 in Canada. Known for its no-nonsense, smartly engineered electronics, Hegel has built a reputation for offering a high level of performance and sound quality at considerably more approachable prices than much of the competition. At the event Brad Paulsen, who joined Hegel as National Sales Manager for the U.S. in July of this year, spoke about the company’s plans to embrace changes within the industry and beyond. “It’s a different world now than it was 10 or 15 years ago,” he said. “There used to be two things in every living room: big speakers and cigarettes!” He chuckled. Of course Hegel is continuing to design products for audiophiles and music lovers, while also building in new, flexible features for custom installation, in addition to full IP-control capabilities, and so on—as seen in the new H560 reference integrated amplifier described below. The Hegel H590 reference integrated amp contains all new circuitry developed from scratch and is said to offer significant improvements over the prior H360 for playback via USB input and UP&P network streaming, for instances. The H590 integrated amp features a completely new DAC and a more powerful streaming engine; the software isn’t Linux-based but written in Hegel’s own proprietary system in Assembly, so it’s said to be very stable and very fast—and software upgradable. The H590 offers MQA unfolding but for PCM, DSD, and other formats, the signals bypass the MQA core to preserve their sound quality. The USB input supports DSD playback, as well as the second MQA unfolding. For streaming services, there’s a proprietary implementation of Apple AirPlay, and Spotify Connect will become available soon after launch. All inputs can be configured as fixed-level inputs, so you can use, say, your Bluesound app and still have the H590 sound. Those who have smart homes might appreciate the two-way IP control or built-in Control4 service. 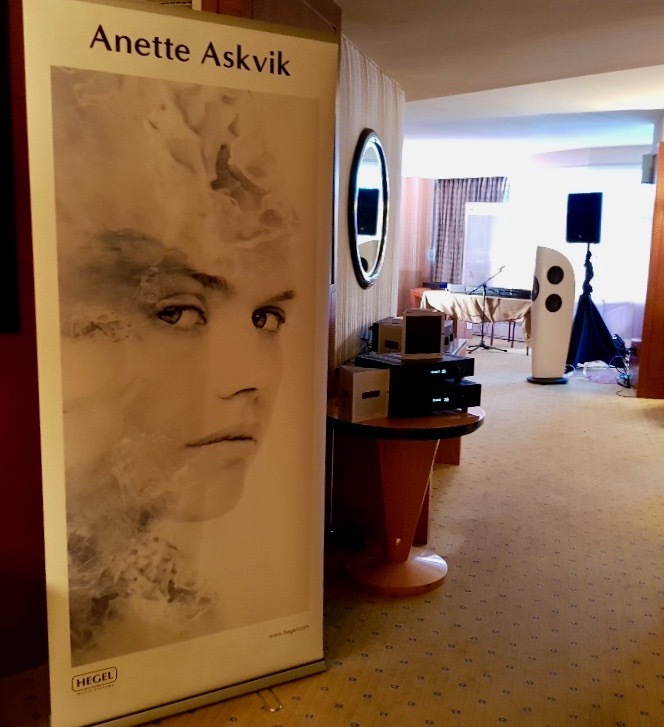 “Aggressively priced” at $11,000 in the U.S. and $13,500 in Canada, the H590 sounded impressive driving a pair of KEF Blade loudspeakers playing back various hi-res digital tracks from Anders’ Mac laptop. An interesting (if not altogether apples-to-apples) demo revealed some of the audible sonic penalties caused by some record labels’ “watermarking” of digital tracks—whereas the Qobuz versions rendered quieter backgrounds, deeper soundstaging, noticeable dimensionality, and seemingly higher resolution. Anders also wanted to demonstrate how some less-than-stellar recordings could be rendered more enjoyable: With the H590 in the chain, he says, he’s been able to play songs he hasn’t been able to play back before on other high-end systems. I’d like to hear what the H590 can do for audiophile recordings, too!